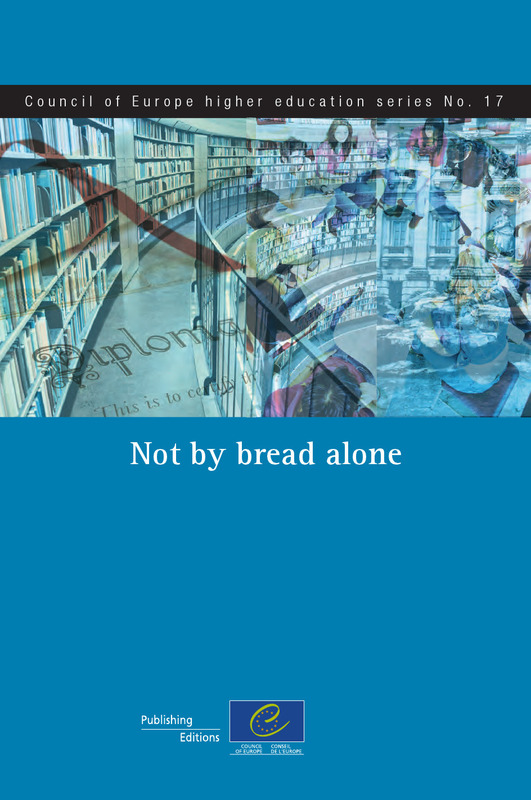 Not by bread alone gathers essays on higher education, including some written especially for this book. They cover three key areas: the missions of higher education, public responsibility and qualifications. Together, these essays spell out a view of higher education as a key factor in developing modern societies built on the fundamental Council of Europe values of democracy, human rights and the rule of law. They also underline the key role of higher education in developing the ability of our societies to conduct intercultural dialogue.To fulfil its role, higher education needs to prepare for citizenship as well as for employment, for personal development as well as for the development of a broad knowledge base. Our vision of higher education and its multiple purposes must be reflected in the way we view qualifications. We also need to take a close look at how the public responsibility for higher education and research can best be exercised in a society with many actors, all of which have their own legitimate agendas. In this situation, public authorities have an overall responsibility for coherent education policies.